Ill be placing my mods here in a organised fashion. You can read more into the mods themselves by clicking the spoiler for each one. Mod details are organised by [Factorio Version,Mod Name,Mod Version]. Sometimes there's beta versions of the mods in these. Just install it like a normal mod and it should do its work. Reskined and Renamed Science Packs. --Renames only account for english locale, Feel free to send me locale files for other languages and Ill include them. Reskinned Science packs! Outdated image. Holy Iron Ore!! You mean you modded weather into factorio?!?!?!? Yes, MoWeather adds in weather events that effect the game world. It is also a very easy to use API so anybody can design their own Weather to put in the game. Weather Systems: MoWeather's main feature. Types of weather in-game, that effect the game world. Each weather type has its own percentage to happen. For example, cloudy weather has a higher chance to happen then it being very windy. Sound: Some of the weather types include sound while they happen. Clear: Basicly What factorio is without MoWeather. Cloudy: The clouds form a overcast casing the day to be darker, this causes solar panels to generate less power. Windy: The winds pick up allowing pollution to be carried farther from your factory. Thunderstorm: The sky darkens, and the wind picks up. And the sky's pour down on you. Rainstorm: It starts to rain, what else is there to say. After playing factorio for a bit, and disliking being forced to use either a shotgun or a rocket launcher to kill biters. I started working on a mod designed to add more interesting weapons to the game. And after I added some new weapons I decided I needed new enemies to shoot. This puppy is the peak of engineering tech. It fires packages of Nano machines that either repair inorganic machines, or dissolves extraterrestrial organics. A Powerful automatic weapon. Great range,Moderate Damage, Shoots lasers. While the laser rifle is great at smiting worms and spawners to a degree, it fails entirely to kill massive hordes of biters. The deadliest gun in the mod. Awesome range, Extreme damage, Huge AOE. The BFG is quite expensive to produce, and fire. Creating a BFG is a challenge on its own requiring a portable fusion generator alongside its expensive research. Once built and supplied with its rather pricey ammo, Biter bases beware. But as a warning, using the BFG may cause death to its user. Using it short of its max range will put you in the danger zone and most likely cause your demise. Only available if you have mopower installed. These puppies are heavy duty bullets. Capable of piercing even the toughest hide/armor. Nasty Little buggers that charge at your things, and then self destruct in a explosion damaging nearby objects. Unlocked when you get the electric defense for your modular armor, this pricey tower squash's(Zaps) biter swarms like.... well bugs. How ever it has its downsides. If used wrong it can damage your own infrastructure. Walls and the tower itself are immune to the electricity, but anything else in the cross fire is as good as dead(or badly damaged). The power of energy walls be yours! Place force field posts down in straight lines to generate a energy wall that when bitten by biters, it gives them a electric shock. The fields require energy to be sustained, and will fade quickly if their parent posts are shut down or destroyed. Also you cant repair the energy fields(Using tools on energy?!?! Absurd. ), they self regenerate over time. Mines that instead of exploding when trigged, release a potent neurotoxin. Advanced bots that will defend a area for you, or follow you if theres no where to dock up. Bots too slow? Well we got a solution to that. Sad that you can't cross water? Be sad no more! Motransport adds boats! Boats: Adds a craft-able, working Boat that works in water. What else is there to say? Tracks On Water: Allows you to build railways above water. Ever wanted MOAR POWER!?!?! Well MoPower has that just for you. We got nuclear reactors, thermal energy converters, wind turbines and giant accumulators. All for the low low price of... well what ever it costs to make those really. Nuclear Reactors: Ever wanted a clean power source? Well nuclear reactors are your friend! They are the cleanest and most powerful of all the green energy sources. But they require quite some setup and are slightly hazardous to your health. 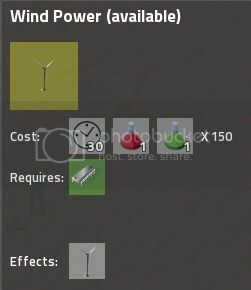 Wind Turbines: Power your factory (or if you have MoCombat you're Tesla Towers) with the power of the wind! Just a warning. Like the green energy of the solar panels, wind power isn't very reliable for a primary power-source. Octo Accumulators: Basically Giant accumulators. Not much I can say. First you mine the ore then, refine it into usable nuclear rods. And with those rods you put them into your nuclear reactors along with water and out you get superheated steam. And with that steam you just ship it to your steam boilers. You also get nuclear waste as a by product. Image of Wind Turbine Tech. MoPack is a download that includes all the above mods. All MoMods do not require new games to use them, they are perfectly compatible with existing saves. And are not invasive/harmful. As a small warning, I haven't tested any of the MoMods with other mods. (All MoMods are compatible with other MoMods. No MoMod Depends on another MoMod, they just have cross compatibility.) If you try MoMods and have a compatibility conflict, report it to me and Ill iron it out. Same goes for any bugs you find. If you guys got suggestions, critics or anything just leave a post. Thanks! Last edited by ludsoe on Tue Feb 17, 2015 9:44 pm, edited 37 times in total. Hello, I tested the tesla tower, and I love it! Re: [MOD 0.9.2] MoMods -MoWeather: Prototype Released! Releasing MoWeather 0.0.2 Now, and as its powered by a development build of MoLogicCore. I'm releasing the development build alongside MoWeather 0.0.2. I'm Designing the Mod Apis mostly for myself, but I'm allowing anybody to use them for their own needs/wants. My hopes are that by releasing my work to be freely used by anyone we can see more high quality mods pop up. kovarex wrote: Hello, I tested the tesla tower, and I love it! I love it to. I had lots of fun testing/balancing it, as i created a base surrounded by nests and my only defense was a bunch of Tesla towers and repair-bots. Coming soon to a MoWeather near you! MoLogicCore is also coming along nicely. 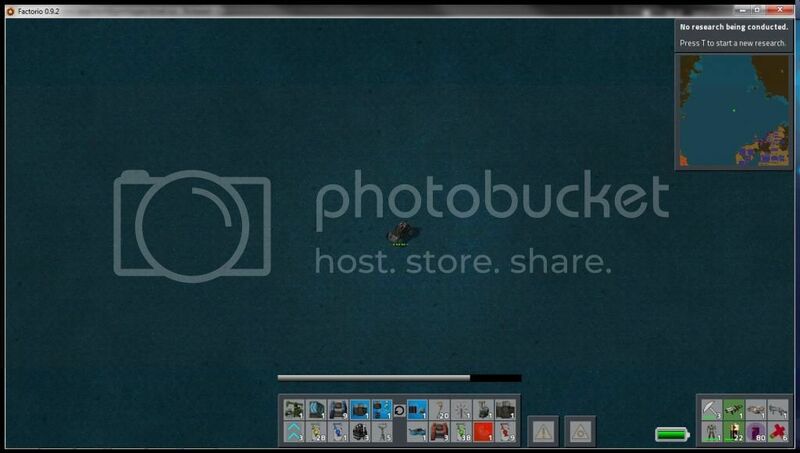 Its data now saves properly, allowing MoTimer's(MoLogicCore Module) timers to count down even after saving+reloading. This allows MoWeather's weather events to persist better. (And what ever else uses timers.) Ill be pushing the new MoLogicCore Version when I release MoWeather 0.0.3. Do you mean a single download with all the mods? Or all the MoMods combined into a single folder? ludsoe wrote: Coming soon to a MoWeather near you! I mean a single download with all mods. I tried MoCombat for a while, and am liking it so far. Just one thing that bothers me, your tesla towers do damage DyTech walls. Would it be possible to make those towers not damage them, at least? I understand them killing other towers and the player, but if I need to protect them only with inferior walls when I have plenty of higher quality ones, it really feels weird. Hopefully in the future weather would either be part of the base game, or we would get better tools to mod fancier weather. ficolas wrote: I mean a single download with all mods. Ill setup a new download for that when I release the upcoming MoMods update. slay_mithos wrote: I tried MoCombat for a while, and am liking it so far. That's a compatibility bug, Ill have a patch in the next update. Any other compatibility issues i should know about? I said that because im pretty sure that you can give a motion to a particle entity. Releasing a Beta Update thingy. Should be compatible with other mods that add walls. If the Tesla turrets still damage mod walls, Inform me and provide the mod/save. Weather Now persists after reloading a save. Added a save version system, so switching between MoLogicCore versions doesn't destroy saves. Added a Module for handling entities. Started Work on converting to use MoLogicCore, However there's a game crashing bug. So I've included the new code but its commented out. Report any bugs/crashes related to my mod and Ill iron them out quickly. 0.9.4: 'forcefield-post' throws two errors, charge/discharge animation with 0 frames now should not be specified at all instead. Laser rifle use cells which crafted from batteries. But in game batteries re-usable(use in recipes accumulators). Also I have an idea: use recharger. But cells must have large capacity(stack to one item, be expensive and rechrgable by craft in recharge) because they must be undestroyable. And if you use all it capacity - sorry, cell destroy. Also I have another idea: if cell use to empty capacity and destroy, cell create event. If event happens, game will create uncharged cell. Sorry for the delay, I got caught up trying to solve other problems with the force fields. Please take this new update as my apology. Vitduo wrote: Laser rifle use cells which crafted from batteries. But in game batteries re-usable(use in recipes accumulators). Rechargeable battery packs for the laser rifle? I'll look into it. Hey Guys, New gifs!!! WOO. You forgot to set "forcefield wall post" to "enabled=false", so it is unlocked right from the start. Minor thing, but it is strange to get a recipe by default that requires oil processing. Fixed with MoCombat 1.8, Also updated MoPower as it had the same problem with one of its recipes. ludsoe wrote: Hey Guys, New gifs!!! WOO. I had a small question about force field posts. Do they get attacked like very normal wall that's in the way? If they do, then it makes using them quite a lot trickier, because you would need to build walls around the posts to fortify them, negating part of the benefit from having them in the first place, and they cost way too much if they can be destroyed easily. slay_mithos wrote: I had a small question about force field posts. I'm still in the process of properly balancing the posts. The posts are fairly resistant to attacks themselves. And the field they produce damages biters when they attack it, I recommend testing out the fields in a test scenario. The base idea for the fields are the fact they regenerate health at the cost of energy. Maybe the post could have small field around themselves as well to protect them.